Ever since last fall I have been preoccupied with birds in the sky. Wild geese, like in the Mary Oliver poem. It must be because I had lived so long in places where the geese did not cross on their yearly migration from one place that is a mystery to me to another. I don't remember ever missing the geese while in Santa Fe or Brevard, but once we were back in Colorado I didn't want to take my eyes off them. They don't captivate me when grounded, but only in flight. I remember clearly standing outside my sister's house, one night last year in late fall when my husband was still in California, and stopping to watch a flock of them sail across a frosty moon in a near-black sky. It was a Halloween moon, very full, the air smoky, the veil thin. The geese were a wonder, true wild things, able to live as they do here in the unnatural world we have made. 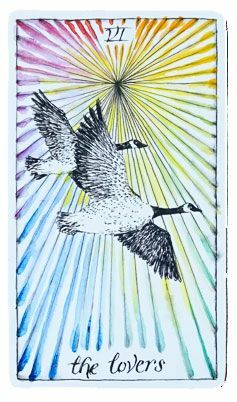 The geese were on a tarot card I had drawn repeatedly over my two years in Santa Fe, when I was trying to decide whether or not to leave my marriage. The tarot deck was called The Wild Unknown and in it, geese were used to represent one of the major arcana--The Lovers. I took it as an encouragement to stay, despite everything that was happening and everything between us. We left North Carolina following a large eruption of my volcano life, and I spent an entire year after that in a liminal space. My husband and I functioned, for that year, as partners and teammates in our children's lives and not as husband and wife, because it had to be decided if the thing that had happened could be tolerated. Could be lived beyond. Over and over again that year, I would talk to the Spirit (Goddess, God, whatever you might call it) and draw The Lovers. Two geese. Mates for life. I took it as a sign that the marriage was worth saving. I don't read tarot to predict the future. I read it to hear what's in my own heart. But this decision was too big, too scary. Everything hurt. I didn't know what was in my own heart. The Lovers is a card that's easily misunderstood. About a year into our time in Appalachia, my husband had brought up ending our marriage. I had been completely blindsided. I had never thought of us as anything other than lifetime partners, and the fact that he had felt like its own form of betrayal. We had a long and tortured night of conversation, after which I went into the bathroom, sat on the floor with my back to the door, and sobbed the foundation of my life up out of the ground, through my root chakra, and all the way out through my crown. I went to bed. In the morning he said he was sorry he'd made me cry like that, and that we would try to make this marriage work. And we did try. Or we didn't. Or we did, but not hard enough. It depends on who you ask, and when. Then we fled to Santa Fe and I brought up ending the marriage and he didn't want to. So we stayed out there in the desert, and I went to work in the movies and he worked at another brewery and I went for walks in the desert and in the mystic mountains, and the girls grew two years older by dizzying increments. Towards the end of 2017 my husband was falsely diagnosed with cirrhosis, and went to rehab. It became clear that this life was not sustainable. We collapsed. Then we moved back to Denver and there were wild geese in the sky. It always happens in October, it seems. In October we got married, in October Ayla was born, in October we moved from Santa Fe to Denver, and then in October I moved out of our apartment in Fort Collins, where we had lived for six tremulous months as a family, and into my parent's house in Littleton, because my husband had decided he wanted a divorce. I am trying to be fair to both of us here, which is why I say that we'd both brought up divorce over the years--who has been married for 16 years and never once thought about divorce?--but it is also true and honest to say that in the end, I wanted to reconcile, and in the end, it wasn't up to me. Indy came to Littleton with me for a week, but then it became clear that the change in our living situation combined with another change of schools was too much for her (and wouldn't it be too much for anyone? 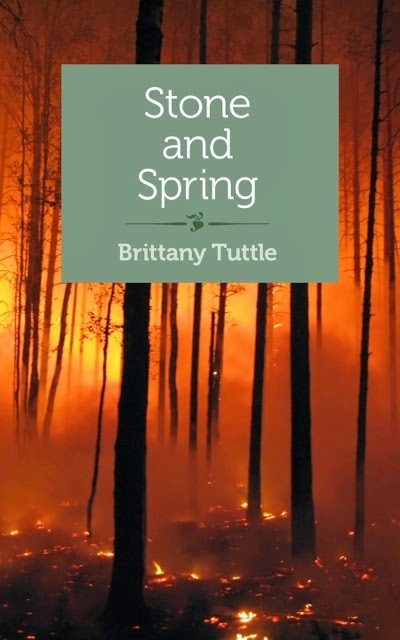 ), and so she went back to Fort Collins where, for right now, she lives during the weeks with Ayla, her dad, and her Grammy, in her Aunt's walk-out basement, and where she and Ayla can finish out the school year. Because they have been to so very many different schools in so few years, these indomitable and enduring daughters of mine. This part of it--having the girls on weekends and holidays only--is too awful for me to talk about. I'm not sure if I can bear it and I'm not certain it will be borne. People keep talking about the dust settling, but ending a sixteen-year marriage and losing your home, your life partner, and your entire existence as a full time mother is not about dust settling. It is about beginning the process of sifting through years and years of accumulated dust, dust so thick it goes up to your eye balls and it feels like you can't breath, it becomes a sludge and you are swimming in it and it seems like maybe you will never get out. Here's what I have learned about divorce: no matter what impressions you might have formed, divorce is not about just a couple, and it is not about self-actualization, not necessarily. Maybe it can be about that eventually. But at its root, it is about taking this holy, sacred, living and breathing entity that you and your partner have built together with your children, and wrenching it apart. Killing it. Divorce is a death. It razes everything to the ground. You and your children must try to find each other, somehow, inside the ashes. And your children must also try to find your spouse. And though you can see your spouse through the smoke and rubble, you are now strangely, impossibly, forbidden from going to them for comfort--the one person you have always turned to throughout your entire adult life. Divorce is sometimes necessary and sometimes a relief, but not always, and I can only tell you that from here, it does not feel like freedom. For days, grief crashed over me, wave after wave, a grief so terrible and powerful and overwhelming that I believed it was a tide that would pin me to the ocean floor and hold me there forever, until I died. It was too much pain to hold. It made time bend and undulate in strange and unsettling ways. It has filled me full to the brim with nostalgia for other times and other lives and other mothers I have been. A new mother of small children. A mother of small town, Southern kids. I even wish I could go back to being a Santa Fe desert mother, because although everything was falling apart around me, the girls and I had each other. Every day I dropped them off and picked them up from school and brought them back to our home, every day we went to bed and woke up in the same house, we passed the minutes and days this way. So that even when things were bad, there was the four of us--there was home. The center of the grief, the nadir of it, is the moment when you have to tell your children. When you have to hold their life up in front of them and shoot it between the eyes and watch it die, and watch their faces as they watch it die. That is another thing that is too painful for me to write about, and it is something I would have done anything, absolutely anything, to prevent. After we told them, they went into their room and I went into mine and I fell to the floor, too alive and burning too brightly to bare with the force of all that sorrow. I made an unearthly sound out of my gut and my throat and my chest because the once-breathing, holy, beautiful monster that was our marriage had just died. From the floor of my bedroom, I could see only a strip of narrow sky. 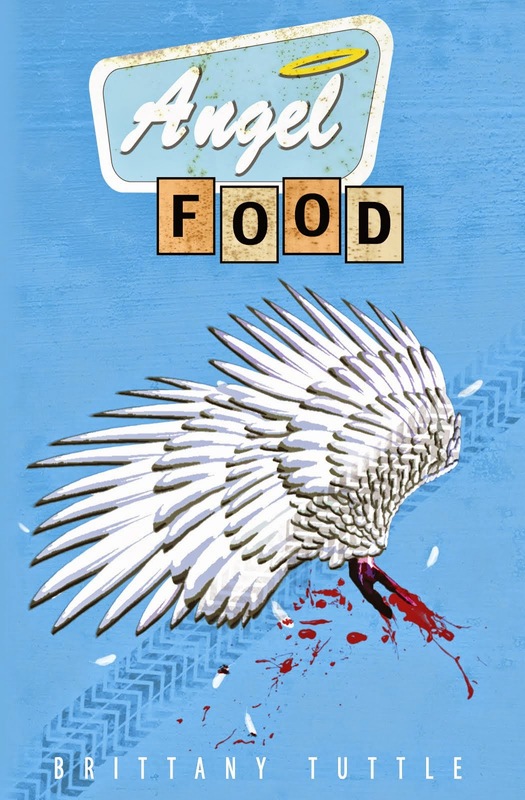 Somehow I kept my eyes up even though I had turned into a ghost, and I watched as across that sliver of sky passed a flock of geese, wild and vibrant and vibrating like the red stone of life I imagine sits in the basement of all our bellies, our sacred fire keeping us alive. A flock of wild geese, honking in the bright, bearing themselves across the curvature of the sky with only the strength of their wings, gliding from one mystery into the next, with no understanding of the word bereft. Brittany, dearest woman, i could cry from how much I have missed you here, and so welcome you back, but oh what pain, what grief and mourning this painful thing. Your writing is incandescent in your sorrow, the pain of it can hardly be borne, and yet you will bear it one breath at a time, for your beautiful girls, and in time you will forge a new living breathing love with them back in your arms. I am so sorry you are going through this. I don’t know the right words. But I am here, dear friend, my sister spirit, loving you so, loving you so. Thank you, Rosemarie. I love you so much and I feel we are indeed sister spirits. I'm also trying to believe that what you say is true, and that one day things will be bearable, even beautiful, again. Sara, thank you so much. You are right that it is gutting. It's always good to hear that I'm not alone, and that other mothers go through similar things. Thanks for holding that space. Much love. Woman. Oh, woman. How can you have created such beauty from such pain? Yes. I have been in that place of a family being ripped apart and yes, it is awful and yet...I swear to you that time will have its alchemic effect. It might be a long time but it will happen. Which is cold damn comfort. All I can say is that I love you so and that this will not always be the way it is and that no matter where you are and no matter what is happening there is a soft place in my heart where I nestle you. And I believe in you and in your spirit which is as strong and sure as that of the flying wild geese. Thank you so much, Mary. I think of you as someone who has earned a lot of wisdom, and so this is more than cold comfort, coming from you. Thank you for your kind words and for the soft place in your heart. You will certainly always have one in mine. And thank you for telling me time will ease at least some of this, because that is hard right now for me to believe, but I believe you. Thank you so much.Your beautiful words are a balm to my soul. Oh, Brittany. We did not meet that once and sit across from one another as strangers yet still feel bound, for nothing. I know what you feel, I know every word you’ve wrought. You will be okay. You will. Thank you, Elizabeth. I love you.